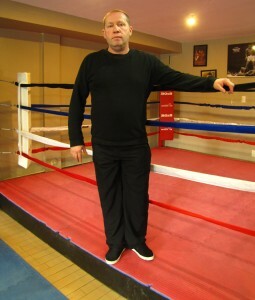 Alex has been a boxing and personal fitness trainer for more then 26 years. He began his passion for fitness in his home town. It was there he discovered his desire to transform inactive people into energetic and hard-working individuals. Alex’s competitive nature is founded by his experience and participation in over 120 fighting competitions (1972-1987), which succumbed in defeat only 17 times. His personal dedication is to achieve results through hard work, dedication, and consistent training. Currently training hundreds of people that range from novice to expert, Alex is a firm believer that regardless of one’s experience, everybody wants to maximize their body's potential. It is his mission to implement a fitness regime that will adhere to your specific needs in order to optimize your results. Alex challenges his students by pushing them through gradually-built fitness levels with consistent training and progressive techniques. He guarantees that each one of his students will achieve their maximum physical strength and endurance that surpasses their expectations. It is Alex’s paramount objective to facilitate each student in reaching and surpassing their physical goals, while breaking down challenges that they have been unable to surpass in the past. Alex’s students will not only see an improvement in their agility and self-confidence, but they will also become enlightened by the benefits of maintaining a healthy and balanced lifestyle. It is a valuable lesson that will enhance everyone’s life. 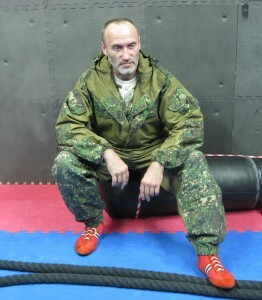 Slava is a MMA, boot camp, and fitness instructor with experience of more then 25 years. From his training programs, he acquired the necessary skills for survival by balancing his energy, agility, and strength. He is all about self-defense, counter-attacking, and intense physical training. Contact us today to inquire about his beneficial, effective, and intense training work outs. During his intense workout programs, he will share his experiences with his students by pushing them to maximize their physical and mental strength. Slava knows unique techniques and maneuvers that he wants to share with his students. He maintains his strength by combining MMA training with a Russian Martial Art called Combat SAMBO. This fighting style will build your self-defense and confidence that you may need in any combat situation. In Russian, SAMBO is short for self-defense without weapons. His lessons are indoor and outdoors, of which contains stamina exercises and agility training with the goal of controlling or loosing weight in order to achieve lean muscle. Throughout his teaching career, Slava has received outstanding feedback from both other trainers and students as an effective martial artist that always pushes the limits of his students above and beyond. Currently, he teaches fitness, boot camp, and MMA lessons at Golden Gloves Fitness, located in Vaughan, ON. This gym is located just north of Toronto, by highway 400. He instructs classes that are no more than 3-4 students. This program runs all year around with the use of different types of equipment, challenges and training lessons. Programs are offered to individuals of all levels, ages, and orientations. Slava is looking forward to transform your life to a new yourself! Shaolin Kempo Karate. 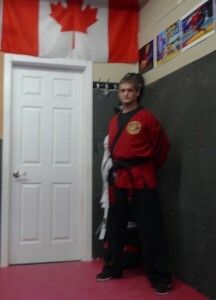 He became a certified martial arts instructor through the Fred Villari's system of SKK and started his own Self-Defense program working in high schools across York Region and Toronto. Terry has taught over 30,000 students in self-defense and continues to work with the students at the high school level. Terry also has extensive knowledge and training in Yang Style Tai-Chi and Traditional Chinese Medical Qi-Gong training. Terry currently studies at the Ontario College of Traditional Chinese Medicine and is in the Acupuncture Program. He is also in the Chinese Medical Qi-Gong Practitioners program with Villari’s Martial Arts working system. He works with 2 of the 7 Dragons in the Villari program. His goal is to provide a learning environment that is exciting, beneficial, and intriguing. He instills both discipline and hard work within his students. According to him: hard work and patient practice results in self-improvement. After training 2 weeks at the club, students notice a change in their energy levels, confidence, and mental focus. Nevertheless, his workouts are always challenging. They include stretching, endurance, agility, and strength training. He also teaches all 108 techniques and fighting forms passed down from the Shaolin temples to his students. Terry’s approach to Martial Arts training and self-defense is holistic. He combines the Mind, Body, and Spirit in all that he does. His style integrates, physical training with proper nutrition, rest, and meditation with goals of formulating a complete and whole warrior. His classes are private to semi-private that are no more than 5-7 students at a time. Classes are arranged for all ages, including for children. Come in to Golden Gloves Fitness or inquire about our Martial Arts classes today by calling (416) 880-2047 or (416) 569-9381 . We look forward to fulfilling your fitness needs!